Company background, goals, product information, and market position. Advertising campaigns, marketing objectives, sales literature, and website. Logo, fonts, colors and other design information. What you liked or disliked about your past exhibits, including anything you might want to keep or refurbish for the new build. Corporate design mandates which envelop the visitor in the company culture, like angular forms to represent stability or curves that show friendliness. The color palette that brands your company. Company logos, slogans, or specific branding that needs to be featured. Whether you need a projection screen to allow for changing your exhibit graphics, product line or themes. Length, width, and height you want the exhibit to be. Don't forget to explain how your exhibit may need to change for certain venues or different kinds of target audiences. Do you need a flexible or changing exhibit? Detail what you need. Is your exhibit going to be stored in a climate-controlled warehouse or do the fabrics need to be resistant to heat and humidity? What size does the exhibit need to fold down to for transportation? How many people will be putting up and taking the exhibit down? Any extra charges for rush orders, turnkey services, or credit card payments. Availability of volume or long term discounts. Are Detailed RFPs Worth the Time? Ultimately, yes. Including these five considerations will allow vendors to provide competing bids you can evaluate competitively. 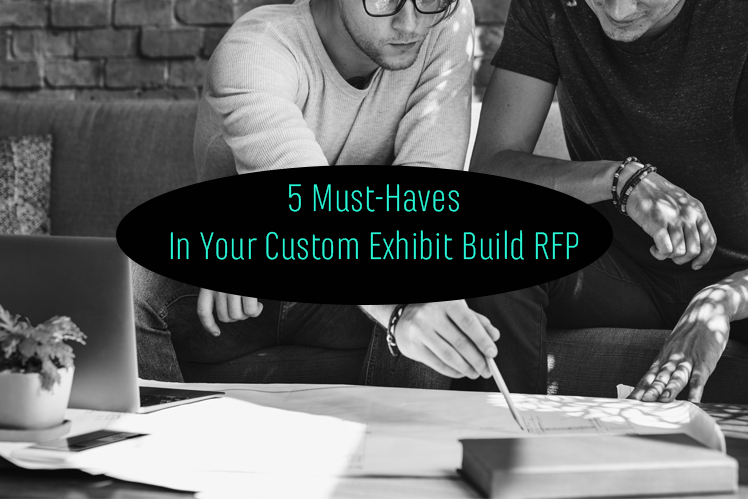 Better yet, by carefully researching and providing all of this information, you will get an exhibit for trade shows that presents your company exactly as you intend. Lisa Bertaina is the President and Co-Owner of ExpoMarketing. Lisa is proud that ExpoMarketing is a platinum certified women's business enterprise by WBENC and hopes to inspire other women in business. In her free time, Lisa enjoys making healthy smoothies, driving, and reading books on leadership, customer service, and business.